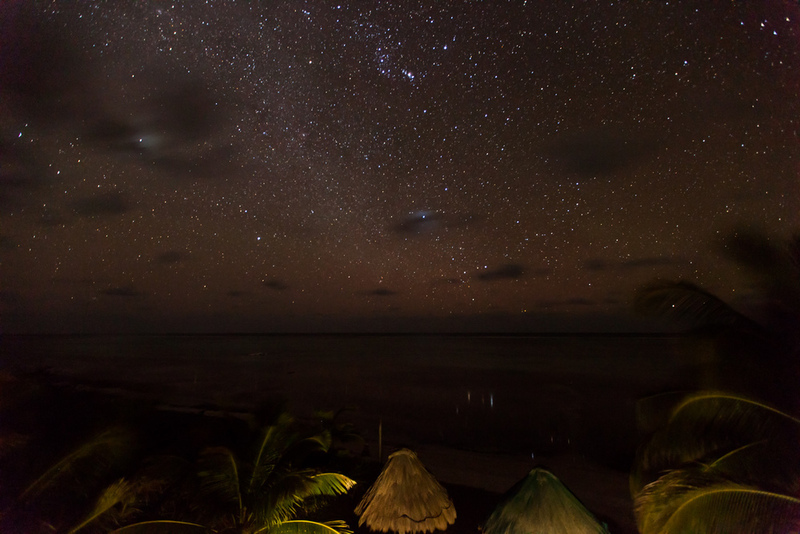 Casa de Sueños, an off the beaten path eco-friendly resort. Xcalak is off the beaten path, and the nature of the location and lack of creature comforts like air conditioning and TVs is not for everyone. However, if you enjoy a tropical beach setting, with untouched and unspoiled surroundings, and very little tourist traffic, then this is the place for you. Spend your days doing nothing at all, playing beach games, reading a book, walking and beachcombing the miles of uncrowded beachfront. Kick back with a refreshing cocktail, sit by the fire at night, listen to your favorite music, relax. There is a small disco and a few bars in town and along the strip should you wish some sort of nightlife, or never leave Casa de Sueños once you arrive, and want for nothing! Casa de Sueños is an eco-friendly resort. Precious rainwater is collected in underground cisterns, for all washing needs. The water is not potable, and should not be ingested under any circumstances. Drinking water and water for oral hygiene is provided in purified water dispensers in every room. Electricity is generated 24 hours a day, through solar and wind collection. A back up generator ensures 24 hour electrical supply at all times. Due to power considerations, hair dryers and curling irons are prohibited. We strive to be as environmentally friendly as we can. We ask that you help us in keeping our footprint to a minimum here, by conserving water, electricity, and ensuring we clean up after ourselves when visiting the pristine wildlife areas surrounding Casa de Sueños . We take great pride in the beauty and unspoiled nature of our homes in Xcalak, and hope that it shows during your visit. Food truck deliveries 3-4 days a week in season. 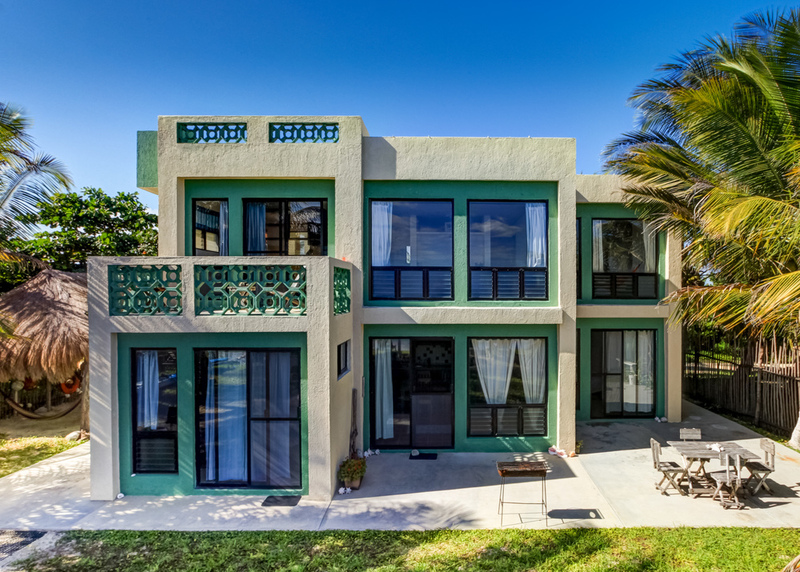 Two bedroom oceanfront apartment with 2 bathrooms, a kitchen, living room, dining area, and private balcony located on the 2nd level in the main house. It shares a huge rooftop deck with the two lower units. These 2 Oceanfront lower units each have a private bathroom, and share a large eat-in kitchen adjacent to the patio and facing the beach. The lagoon house has a lovely studio apartment with double bed, pullout, and hammock, along with a private bathroom. 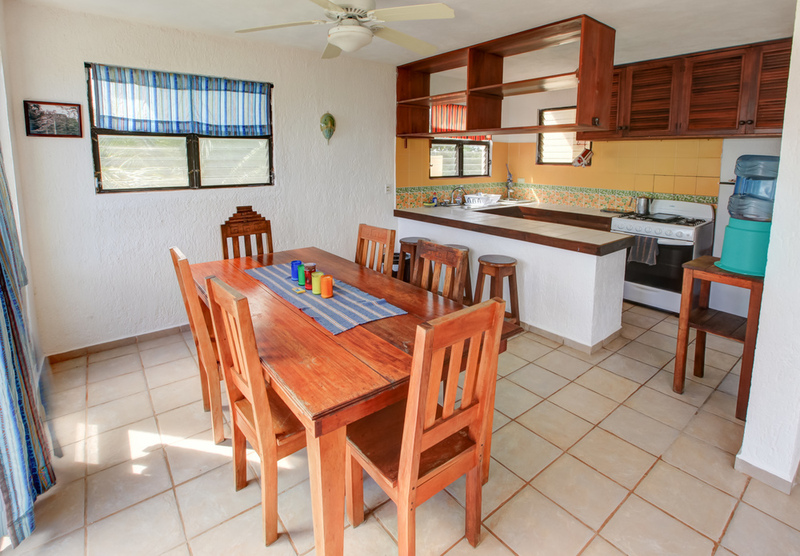 This unit has a small kitchen and also has partial views of the ocean and lagoon. 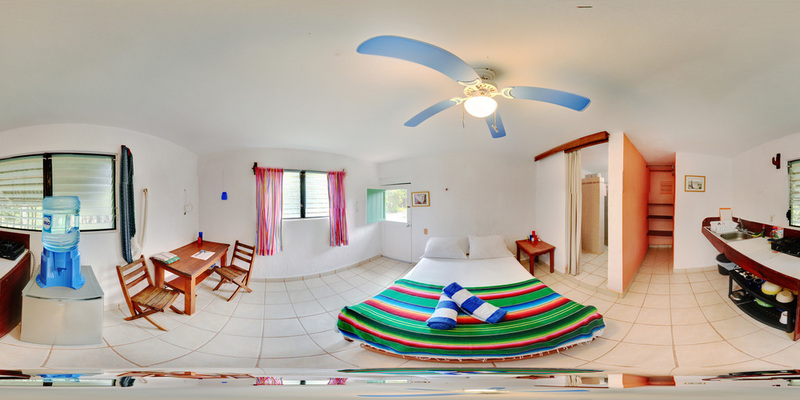 Preview our resort in the virtual tour below.